I was using International Van Lines services twice and they left me speechless both times. 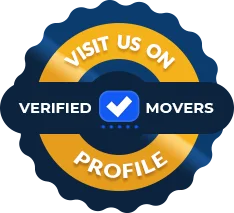 I was moving a lot during the last couple of years and I'm sort of experienced when it comes to moving, which is why I knew exactly what to look for in a moving company. I wasn't willing to settle for the first company I came across so I kept searching. And finally when I found IVL I realized that all my effort was worth it. They are the kind of professionals who can offer a safe and trouble-free transition. Looking forward to using their services again. Working with them was a blessing. International Van Lines were great. They were nice, hard working, and trust worthy, all within a reasonable cost. I am a satisfied customer because they handled my items with care, and had no damages. I was moving to NYC with International van lines and at this point I cannot say enough good things about them. They made my move a breeze. I’ve moved several times before and this was one of the best experiences I had with moving companies. Although I was a bit apprehensive about how it would go, I’m glad it went better than expected. I’m very pleased with their organizational skills as well as with their friendly and positive attitude. I decided that I should trust them with packing, loading and crating and it was a good choice. Thank you so much, International van lines!!! I had a great experience with IVL. Movers were on time and very good and packing. I was happy to receive everything with no damage. 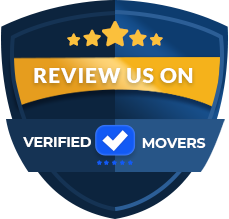 This is the 3rd time I had to hire a moving company and was very pleased with the experience. I used International Van Lines for my recent relocation for work. I would rate them 3 out of 5 stars for the following reasons. We were provided a quote based off the information we gave the estimator, the price did increase due to a few items being added which happened to be larger than "normal sized items" such as a kayak and a safe. They did provide a discount for the inconveniences but it would have been better if this was fully explained rather than just reading it later in their contract. The movers arrived on time for both the pickup and delivery which was great. However, one of their movers was sick on the day of delivery which meant less help. The driver did offer compensation for my son who ended up helping with the unloading. A few items ended up being damaged which was later handled by their claims department. I was offered compensation from the company as well for the issues with my move. While there were some issues with the move, they worked very hard to to ensure everything was resolved. International van lines took care of the logistics of the move just as expected. Both shipping and receiving point teams were efficient and polite. My belongings were traveling cross-county to reach a new home and honestly I expected a lot of lost or broken stuff. We ended up with just one glass table top cracked and a couple of scratches on my king-size bed. Given the distance I suppose we were lucky! They offered a decent compensation for it and now I can say that I could recommend these guys to all those people out there who are planning a move. International Van Lines is a family company that will provide the best move for you!. They are a moving broker in the heart of South Florida. They have many locations and storage units throughout the United States to make your move easier. Storage facilities are set in place if you are not able to receive your household goods right away. If you need some time to secure your new home, but have to move right away, do not worry. International Van Lines can help set up your move to be stress-free. This company will treat you like family. While keeping your best interest in mind, they will assist you all along the way. Wondering if this is the right company for you? They provide services for residential and international moves, as well as auto transport. All bases will be covered. They also provide full service packing and storage. If you have not moved perviously, you might want to look into the movers packing for you. They are professionals. They know exactly how to pack each and every item to keep it safe and sound during the move. Storage is helpful if you will not be prepared to receive you items of the other end. Both short-term and long-term options are available. So, do not worry about the time you might need your items held for. As soon as you are ready, you will be able to call International Van Lines and get your items shipped right to you. Don't forget to ask about their frequent promotions. 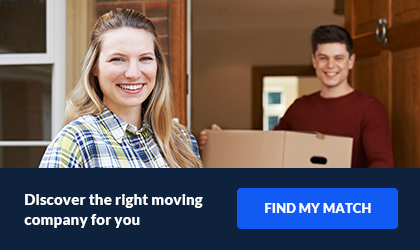 They have discounts set in place to help with the cost of your move. This will help if you are on a strict budget. Moving can be pricey, do not let it break your bank! International Van Lines will be sure to hit everything listed on your checklist.